Following my Hostess' brief for boys birthday cards I tackled the Party This Way set. You'll find it on page 31 of the Main Idea Book & Catalogue and is available in Wood or Clear mount in a set of 5. 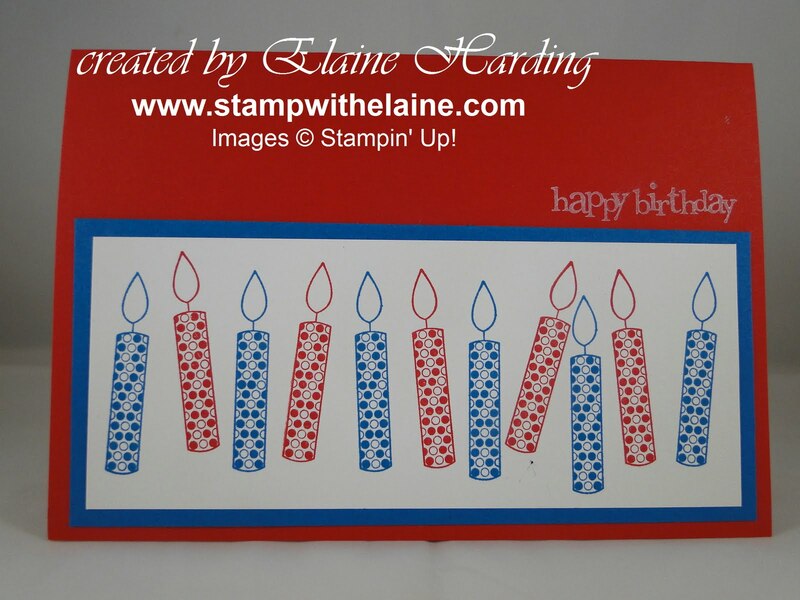 See how easy it is to make a card just with stamping candles randomly in co-ordinating inks with the card stock. I love the font on the "happy birthday" sentiment which I've stamped with Whisper White craft ink. This is super quick and easy to stamp and assemble!